“doing” rather than totally listening to lectures. *R&D to design a marketable product. *Learn how to create a great finished product. *Sell stocks to raise capital. *Sell product and do the planning to turn a profit. *Make a company contribution to a selected charity. We are very excited about this product because the timing could not be better to support the positive changes in our city. 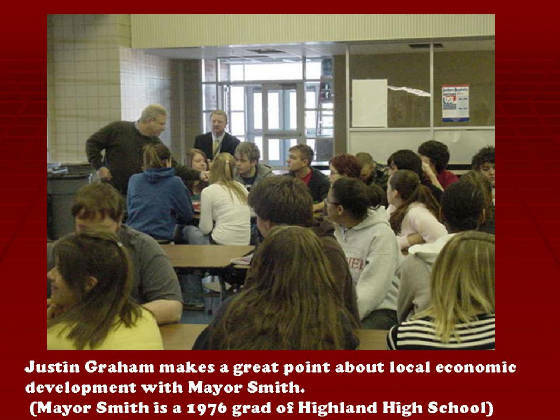 The product speaks to the economic development our city is working towards. We are creating a shirt product which arrives in the consumer's hands in a very cool book format. This gives us a chance to tell the “good news story" even before folks even begin to enjoy their shirt. Below you will find pictures featuring companies which are part of the exciting economic news surrounding our city. 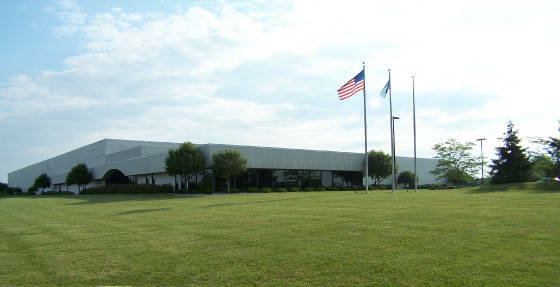 Canadian company, Mancor will bring $10 million dollars of investment and 80 new manufacturing jobs to Anderson. The Flagship Enterprise Center will expand its entrepreneurial education and business incubator facility in cooperation with Anderson University and Purdue University. 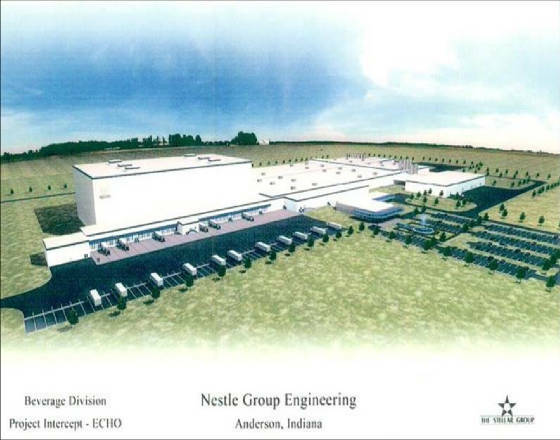 Nestle, the world's largest food company, will build a new beverage manufacturing plant in Anderson which will employ approximately 300 people. 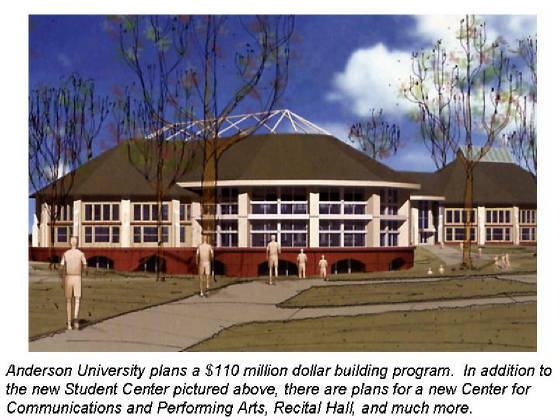 The new, state-of-the-art facility represents a $359 million dollar investment in Anderson. 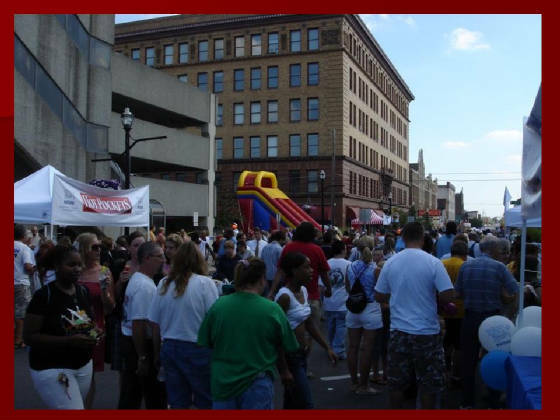 There is little doubt that Anderson is poised for a new beginning when one sees the thousands of citizens who turned out for the Nestle Festival, which welcomed our new corporate community member. The Anderson High School on Madison Ave. on Anderson's Southwest side brings a first class educational facility to our city's south side. 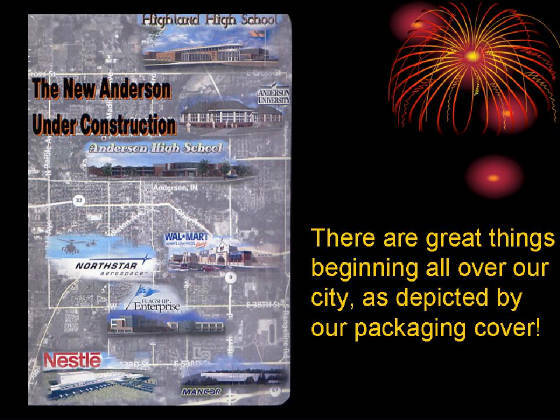 The New Highland Junior High School on Anderson's North East side brings an unprecedented educational facility to the home of the Scots. 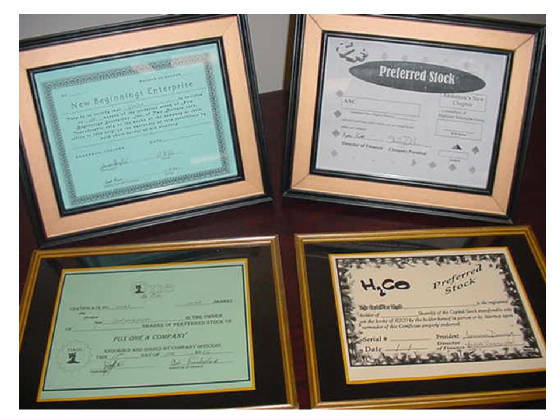 Each of our student run companies have developed stock certificates. 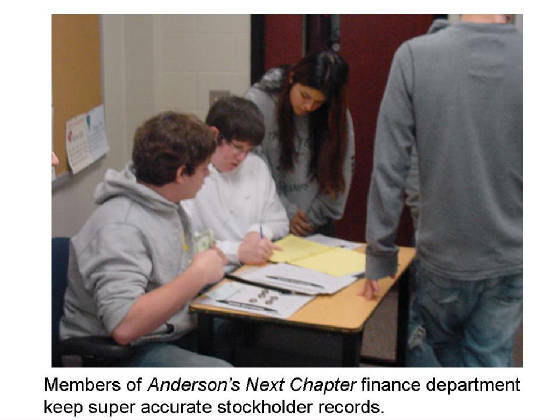 Students then worked to identify clients who would like the opportunity to make a dividend with our entrepreneurial company. 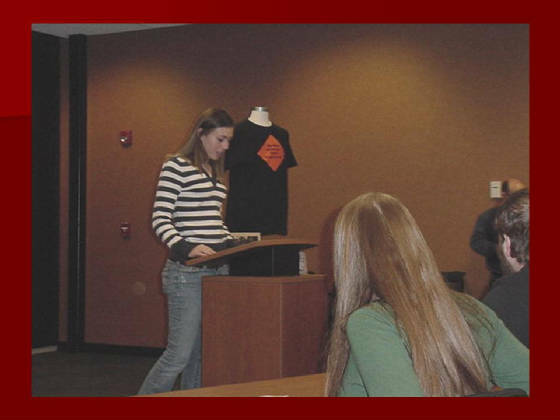 Kati Fulk from SIFE (Students in Free Enterprise) at Anderson University spends the day to help our students increase their understanding of how to create a "killer press release". 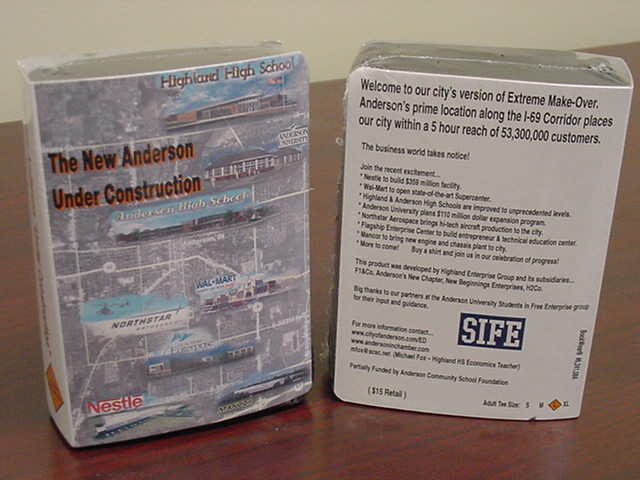 Our product's unique packaging not only gives us a great way to deliever your shirt, but also gives us a chance to tell you the story of Anderson's next chapter. 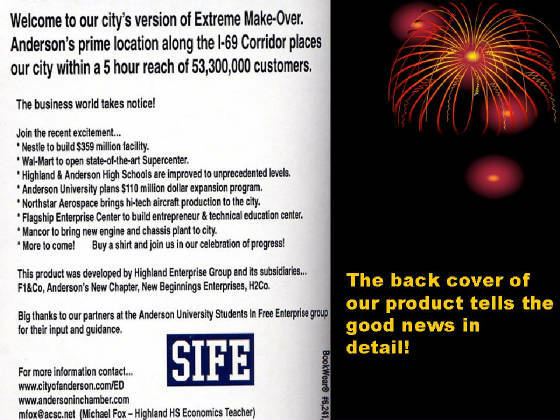 Our product's front shows the pride and high expections we have for our city. 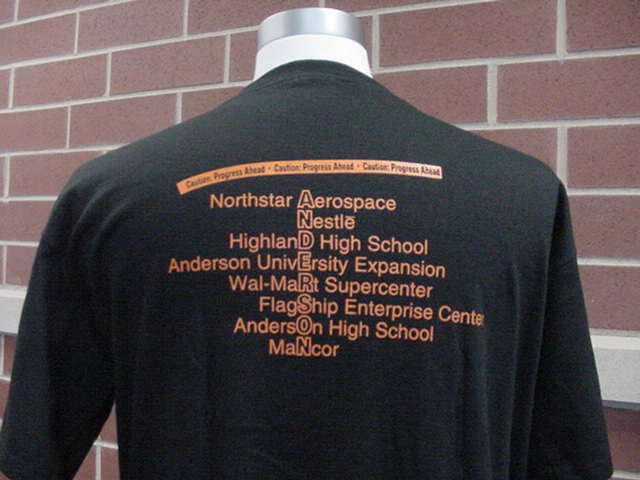 The back of our fine pre-shrunk garment features the new economic forces in our community...so far! 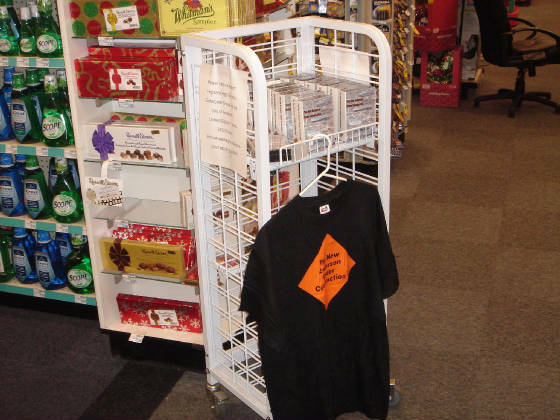 CVS pharmacies in Anderson, Indiana show their support of a great community pride project by marketing our product in each of their stores in the city. 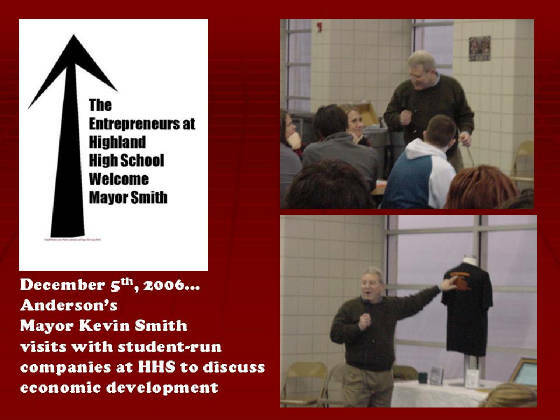 Cover picture from Anderson Herald-Bulletin story on our enterprise from 11/30/2006. 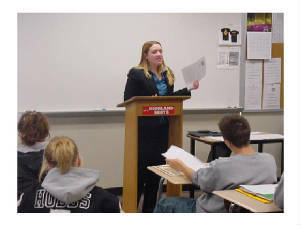 The entire article may be viewed at www.theheraldbulletin.com. 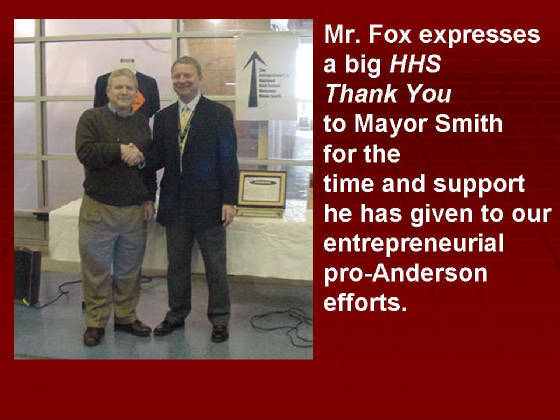 Steve Dorn delivers an order to Mrs. Connie Smith in the Mayor of Anderson's office. 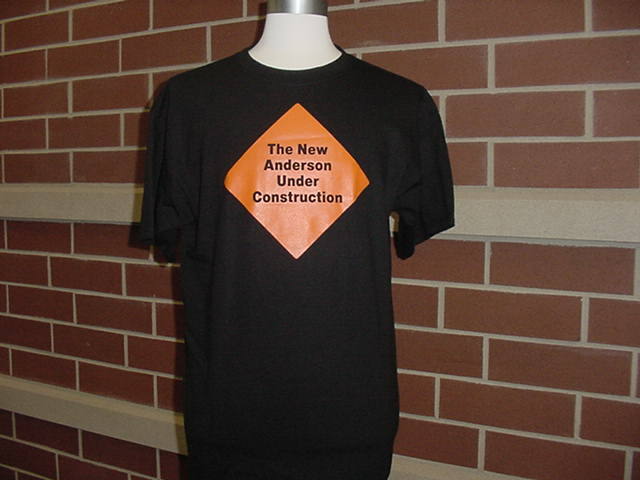 The city will use our fine product to promote Anderson to visitors and perspective investors. Michael Fox welcomes all to the gala at which the student-entrepreneurs presented their company award checks to local charities. 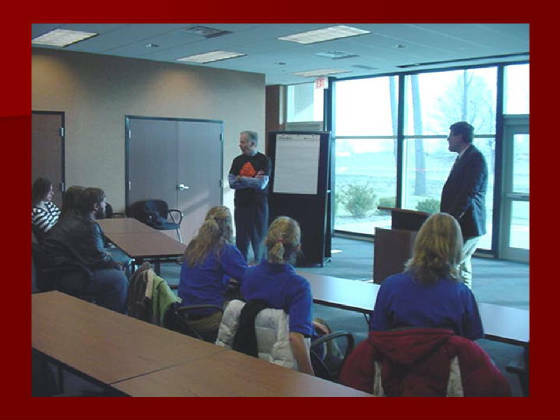 The Flagship Enterprise Center, an Anderson University/Purdue University business incubator, hosted the event. Danielle Thatcher makes the Keynote Address at our ceremony to make our company gifts to local charities. The evening event was held at the Flagship Enterprise Center. 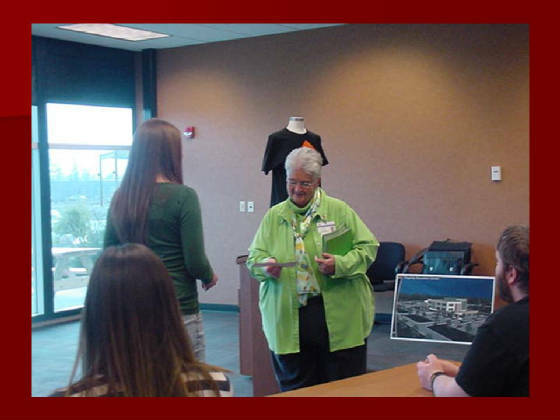 Carly Kester presents one of our company award checks to Mary Lee of Women's Alternative Shelter. 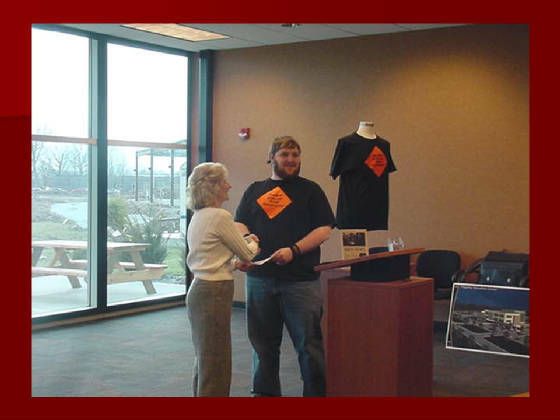 Josh Carroll presents one of our company award checks to Sheryl Myers of the Killbuck Concerned Citizen's Association, and their efforts to prevent the Mallard Lake Landfill from coming to our city. 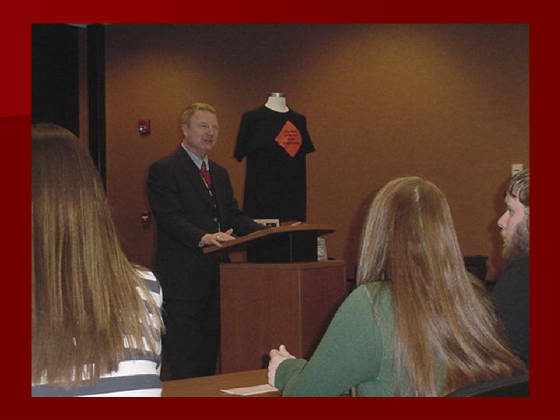 Chuck Staley and Art Patterson, officers of the Flagship Enterprise Center, welcome our group of student-entrepreneurs and Anderson University students from the Students in Free Enterprise group (SIFE). Connie Staton Smith and Linda Dawson at the City of Anderson's Mayors Office. 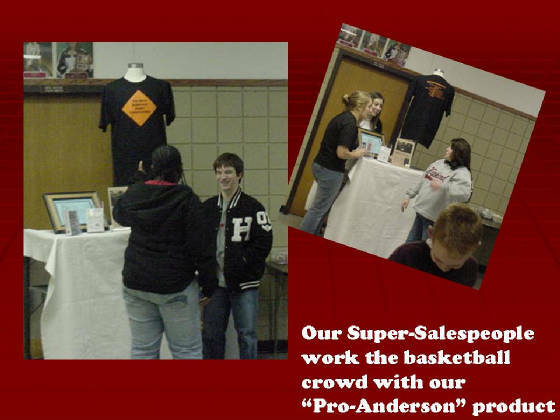 The Anderson Community School Foundation, who partially funded our efforts.